The Wardlow Residence is blend of traditional and contemporary styling. 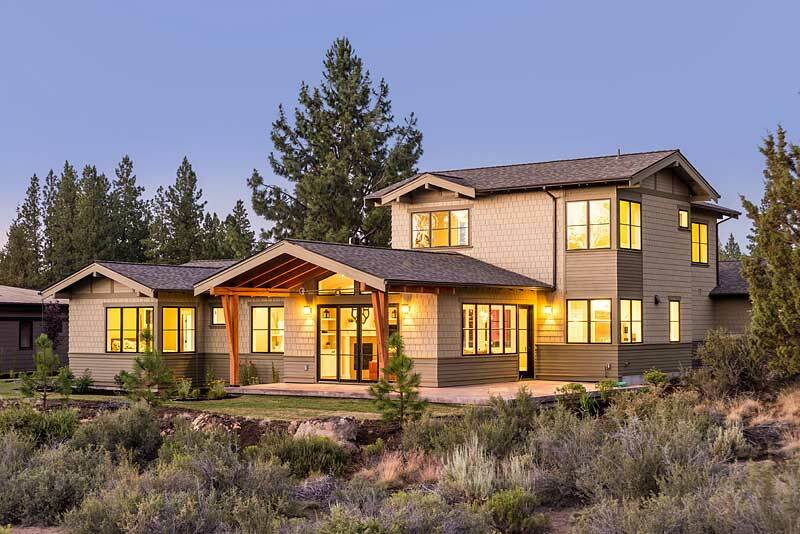 Nestled into the quiet Glen Neighborhood of Tetherow (just west of Bend, Oregon), this home has a central living core that visually connects the living, dining, and cooking areas while creating tertiary exterior living spaces. Building energy efficient homes is important to us – this home is certified Earth Advantage – Gold.